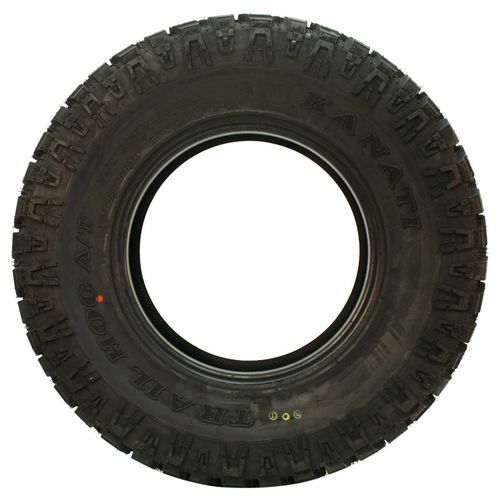 LT265/70R-17 N/A 3,197 lbs 0 psi 18/32nds 7.0-8.5" 0" N/A 32"
Purchase includes the Kanati Trail Hog tire only. The wheel rim shown in the picture is not included. Picture provided is a stock picture from the manufacturer and may or may not reflect the actual product being ordered. 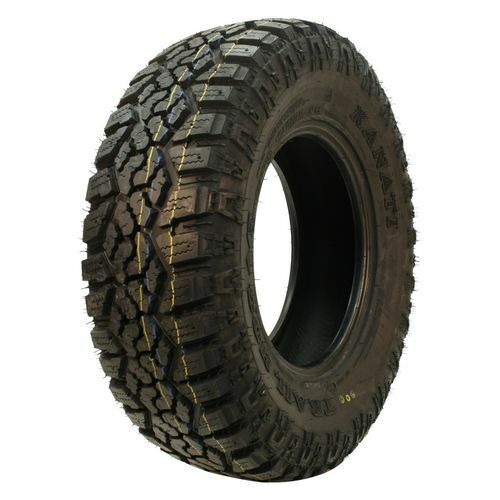 All Kanati Trail Hog tires are continuously developing with manufactured improvements. With that said, Simple Tire and the manufacturers have the right to change these tire specifications at any time without notice or obligation. 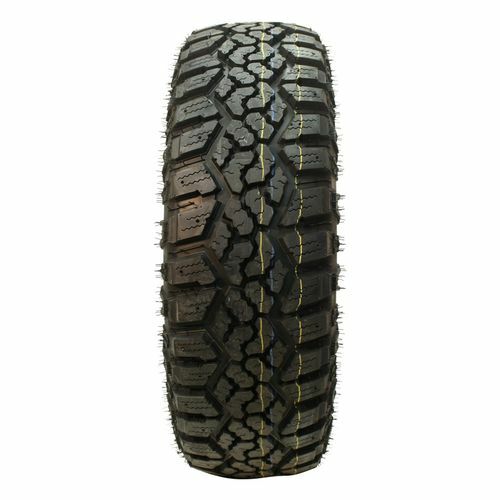 Please Note: Specifications of the Kanati Trail Hog tires shown above are listed to be as accurate as possible based on the information provided to us by Kanati tires. I have had nothing but problems with these tires. 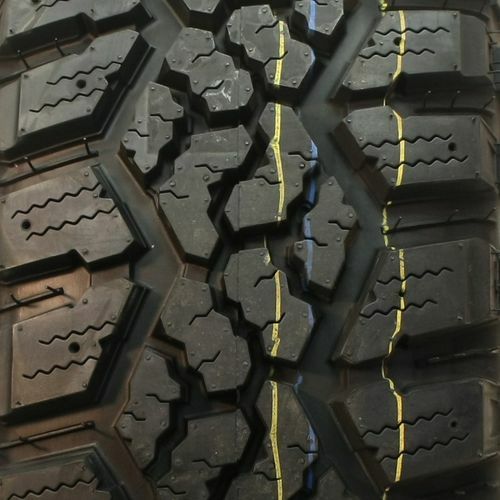 When they were first mounted, 3 of the 4 tires had slow leaks. The valve stems were replaced and they still leaked down. One of the tires needed a huge pile of weight on it, in order to get it to balance. After a few hundred miles, I started getting a bunch of vibration and took it in again. This time, they removed the huge wad of weight and broke the tire down and remounted it and then balanced it again with less weight. Everything worked OK for about 5,000 miles, then the tires started getting real loud and I was getting a lot of vibration. I took it in again, and that one tire was so completely out of round, I could see about a 1" deflection as the tire spun on the machine. It was pretty much egg shaped. At that point, I threw in the towel and removed all of the tires even though they still had tons of tread left. What a waste of time and money. I live in southern Idaho. These tires have been great. Very little road noise. Have only driven 70 MPH or slower. Had Goodyear Wranglers on my 2014 Titan before these. Had to use 4wd on snow or ice. With the Kanatis duck hunted and pheasant hunted last 2 months. Didn't need 4wd even once on snow or ice. Wish I had known about these tires a few years ago. SIMPLETIRE was great to deal with along with the great price.